of our learners and curriculum. The increased use of mobile devices does NOT mean that the importance of literacy and numeracy diminishes. 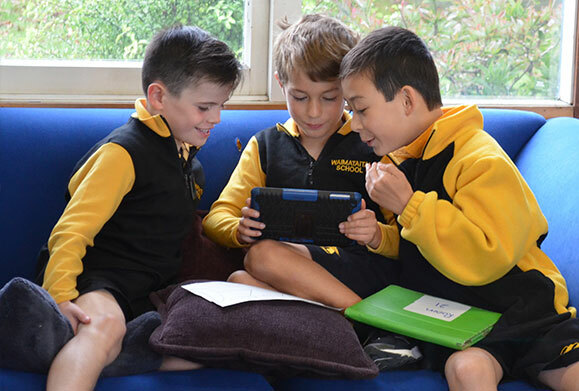 Devices can provide further motivation for students to engage in their learning. 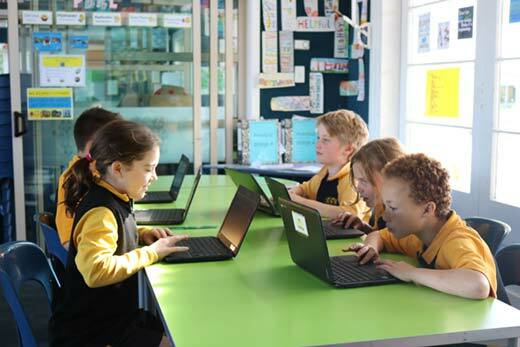 eLearning technology can encourage children to think in different ways and provides further motivation to learn. Access to the school network is restricted to school time and there are a number of security measures in place. Students are only able to access the wireless network from 9am until 12pm, then 12.40 until 3pm. Devices are not permitted out of class during breaks. Classes have agreed to where the devices will be secured during break times.